There are 6 posts in this thread, and it has been viewed 8043 times. There's also files attached. Although I've played it proficiently, It's difficulty can rather get to all of us though. 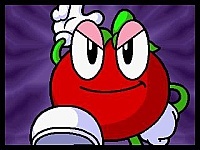 Captain Tomaday is a Vertical Shooter made By Visco (Breakers/Puzzle De Pon/Musashi Ganryuki), but not unlike the Strikers or Raiden series, this one is unique, as your playing an Bio-Enginnered Tomato named Captain Tomaday who uses his Gloves to shoot, shooting one glove off the other reveals a power attack, also, its not a shump without power ups, and some of the weirdest ones in the game. 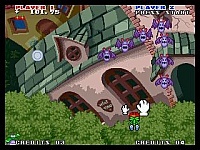 Such as being to turn Big/Small/Baby/Monkey/?, also note that this game is notorious for its difficulty as well. Plus a weird Scoring System in its place. 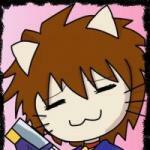 There's also a Miss Tomaday if you're playing as 2P. 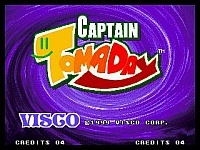 I really like Captain Tomaday. While it's true that there are better shooters on the Neo Geo this is still a pretty fun game. 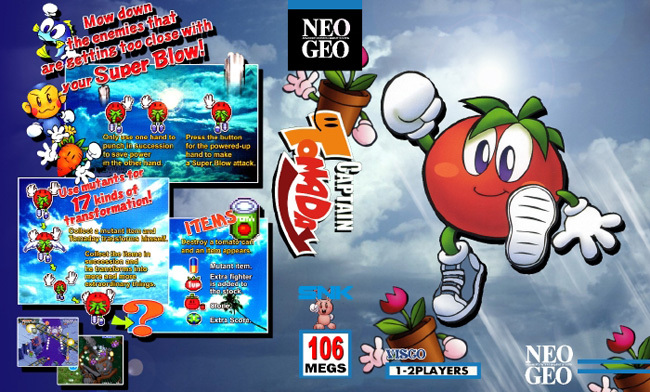 The cartoony graphics and catchy tunes are very appealing and the whole idea of letting you control a tomato in a shoot 'em up is pretty funny! Visco games tend to be of a high quality and this is no exception. I don't know about everyone else but I do find this game extremely difficult. Thanks for helping Cat with GOTW Stray. This game is freaking weird. Honestly, it's weirds me out. I play it sometimes with my nephew because he loves this game. This is one of the strangest games i have ever played. It's really cool though!!! Really hard as well!!! 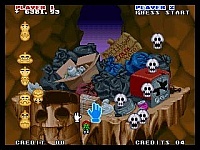 Reminds me a little bit of The Game Paradise Tengoku for Sega Saturn, another really crazy shooter!!!! I fully expect this GOTW to have the least replies ever due to the fact that nobody really knows much about it or cares about it. I have played it on emu and did not think it warranted much time to be honest.